Bahrain Cinema Company, market leaders in the entertainment industry in the Kingdom of Bahrain, also known as Cineco, announced the signing of a major corporate deal with The Coca-Cola Bottling Company whereby the full range of Coca-Cola products will be made available to moviegoers in all of the cinema locations owned by Cineco. 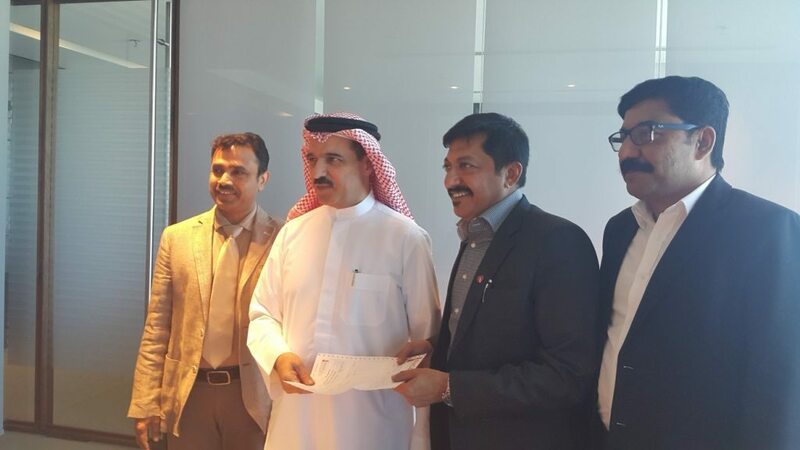 The signing took place recently at the headquarters of Bahrain Cinema Company in Manama and the ceremony was attended by the Chief Executive Officer of Bahrain Cinema Company, Mr. Ahmed Rashed and the Managing Director of The Coca-Cola Bottling Company, Mr. Mohammed Akeel, in the presence of officials from Cineco and Coca-Cola. “Additionally, we are honored to be their preferred choice for the launch of the ‘Cinema Tower’ Machines and are delighted to announce that these new innovative, unique and first of its kind in the Middle East service will serve to greatly expedite the process of buying refreshments by reducing the queues, thereby immensely supplementing the movie experience and making it all the more pleasant. We look forward to reveling in the fruits of this productive new collaboration as it is in the best interests of our cherished customers and to basking in the positive feedback from them subsequent to the completion of the augmentation of their movie experience,” he added. Bahrain Cinema Company already screens the latest movies in 44 plus cinemas in the Kingdom of Bahrain, reaching approximately 11,200 viewers daily and will greatly supplement these figures in its current expansion plans with the introduction, in early 2016, of six new cinemas at the new Wadi Al Sail Mall. The new Cineplex will have the impressive capacity of 809 seats and will encompass the latest in technological advancements in the global entertainment industry. The total value of Cineco’s investment in this project is $6.5 million and it further consolidates the company’s current position as leaders in the entertainment industry in Bahrain. Cineco Operations include the management of a large number of cinemas and restaurants within Bahrain and the G.C.C countries. From humble beginnings in 1968 in Bahrain, Cineco succeeded over the years by pioneering many firsts, establishing benchmarks in Bahrain’s entertainment industry. Cineco now owns and operates a total of 44 cinema screens in the Kingdom of Bahrain, and 27 screens in Qatar.